Getting started is a snap. We just need a few basic details. 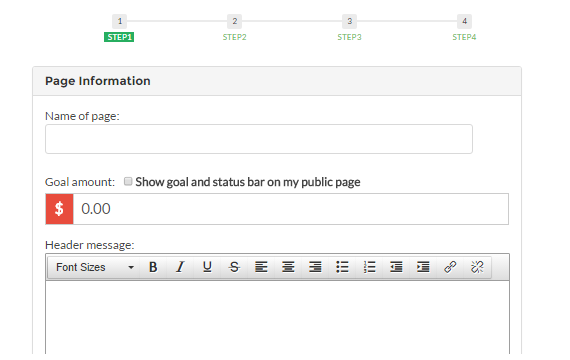 Then start creating your fundraising pages quickly and easily. 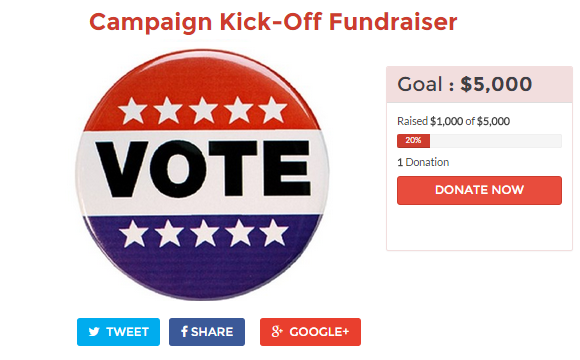 Campaigns and non-profits can even create custom donation levels and fields. Upload your logo or picture, then add in your special message, event details or personalized story. Create custom donation levels and write personal thank you emails to your donors. Download all your donor data into a spreadsheet any time you need it. Set up email alerts so you are notified instantly when donations are received. Do you use MailChimp, Constant Contact or Vertical Response? Connect to your favorite app and we’ll sync your donors who opt-in right into your email list. Connect to your Facebook and Twitter profiles and seamlessly raise money using your DonateWay fundraising pages through social media. We partner with Stripe, so you get all the benefits Stripe offers its customers. After your first transfer, Stripe initiates deposits on a two-business-day schedule, so you’ll get your money fast. 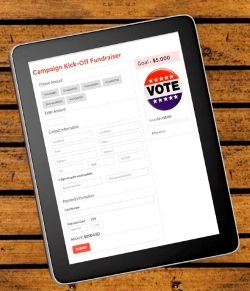 Sign up for your free account and create your first fundraising page. When you’re ready, easily set up your merchant account and start raising real money.